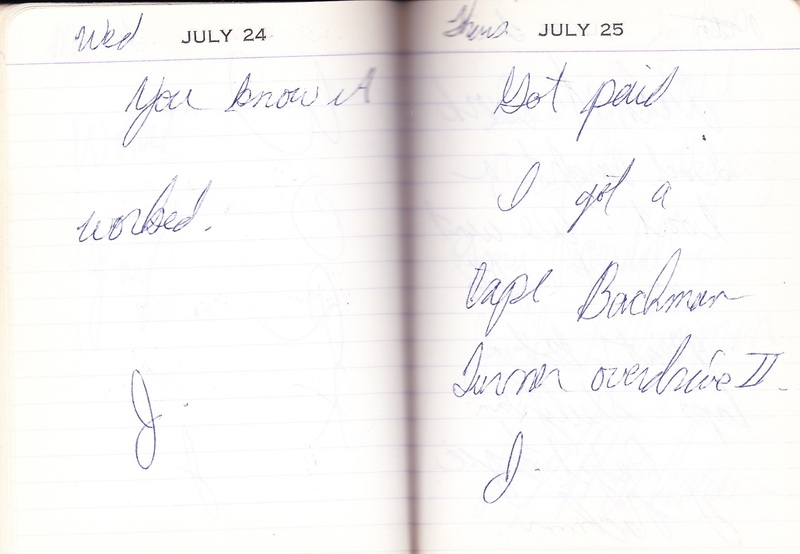 The summer I was 15 my dad lined up a job for me at the janitorial company where he worked. 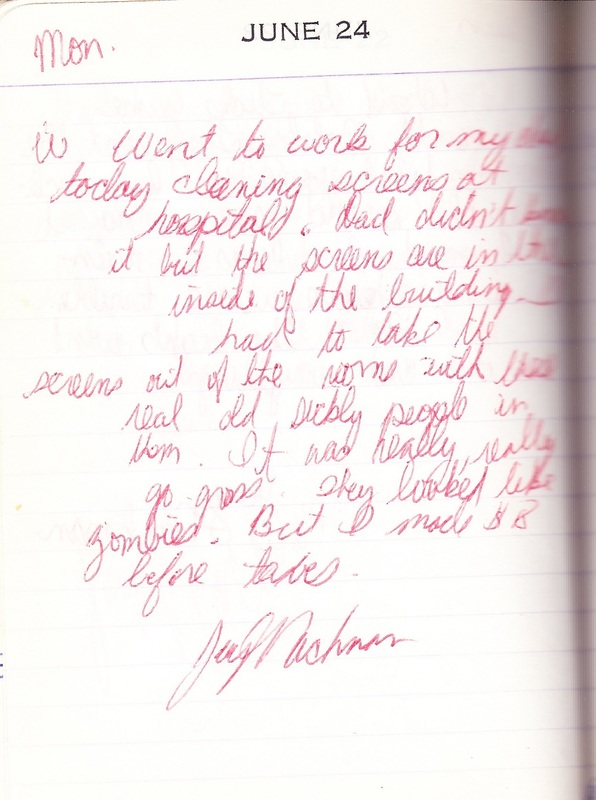 I was a helper, doing things like cleaning screens at a senior citizens home and other general labor. I wrote about the work I did in my diary with my usual sensitivity. 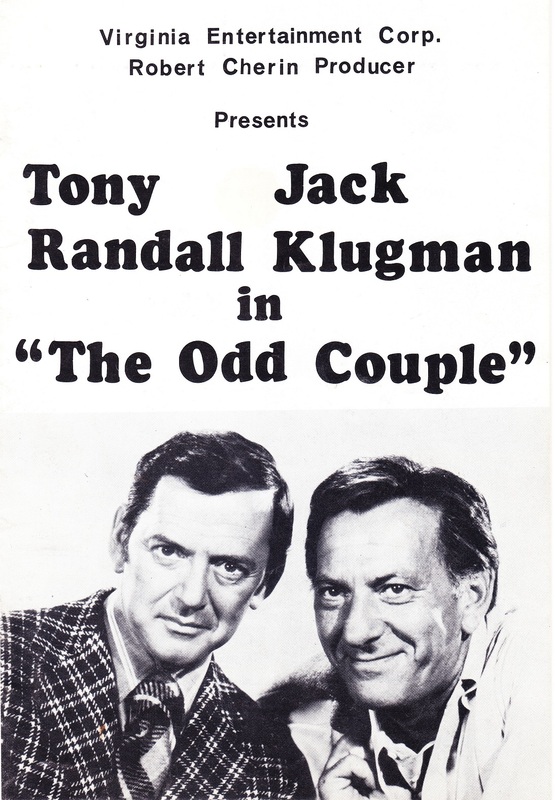 “I had to take off screens out of the rooms with these real old sickly people in them. It was really, really gross. They looked like zombies,” I recorded. Not only was the work not fun, but to add to my delight, I also got an exceedingly modest paycheck. The minimum wage in 1974 was $2.00 and I probably made $16 for the day. I recorded the amount, though not legibly. I can’t read my writing. The money meant I could buy records. Or in my case, cassettes. 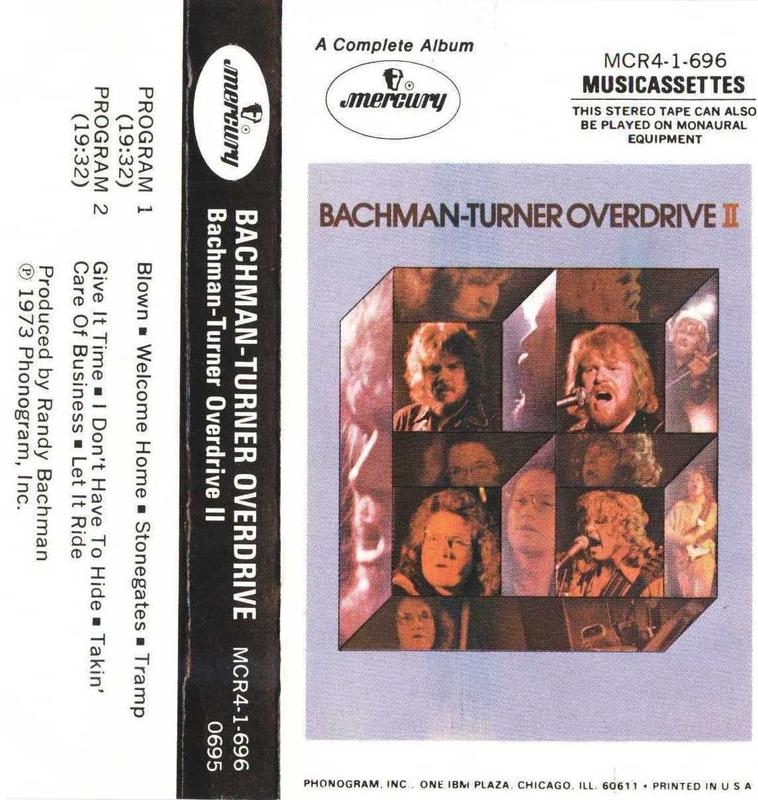 A few weeks later, with my heard-earned bounty in hand, after great deliberation, I bought Bachman-Turner Overdrive II at Variety Records in Military Circle mall in Norfolk. Drunk on tunes like “Let It Ride” and “Taking Care of Business,” I blew off work the next day. More likely, it was because my dad wasn’t driving into the office. He was buying a boat. Clearly, he earned more than $2.00 an hour. I thought the boat was great but that didn’t last long. I realized soon enough that the last place I wanted to be as a teenager was on a boat with my parents and two younger brothers. So I didn’t spend much time on the water. I preferred to pal around with my friends. 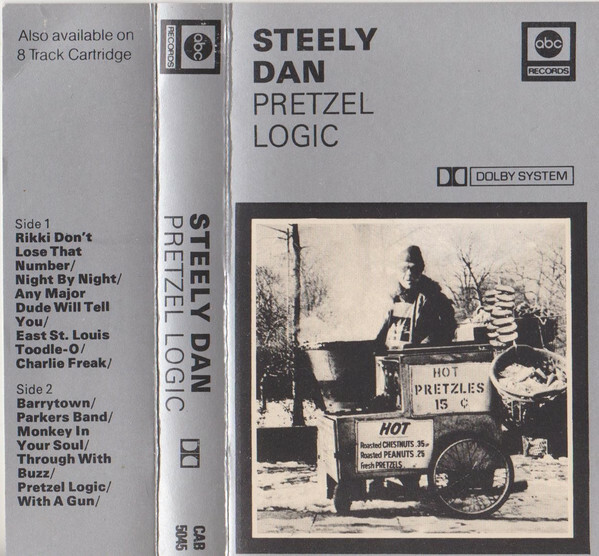 That same day I bought Steely Dan’s Pretzel Logic. I don’t note who I went with to buy it, or where I bought it. What was important, what was worth noting, was the music. 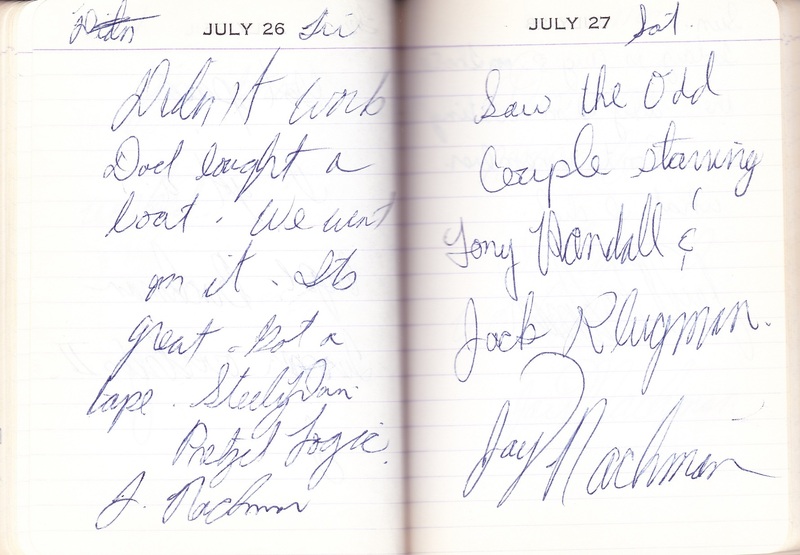 The next night, 34 years ago today, I took in some theater. When you’re 15, there were worse ways to spend a summer’s evening. Like on a boat with your parents. Or in a facility with zombie-like old people. Or with real zombies.